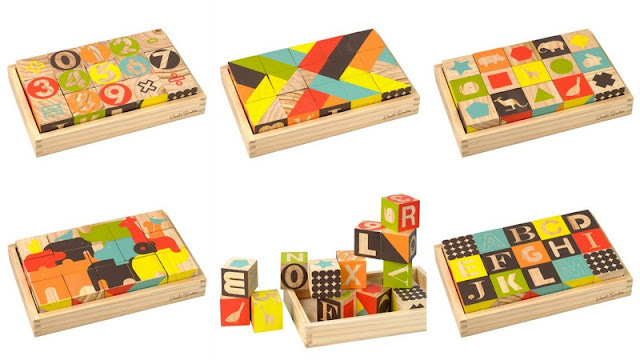 I have loved this little wooden block set from DwellStudio for a long time, though I never pulled the trigger because I couldn't justify the $40 price. I noticed this morning that Amazon has this set marked down about 40% at $24.41, and it qualifies for free Super Saver and Prime shipping! 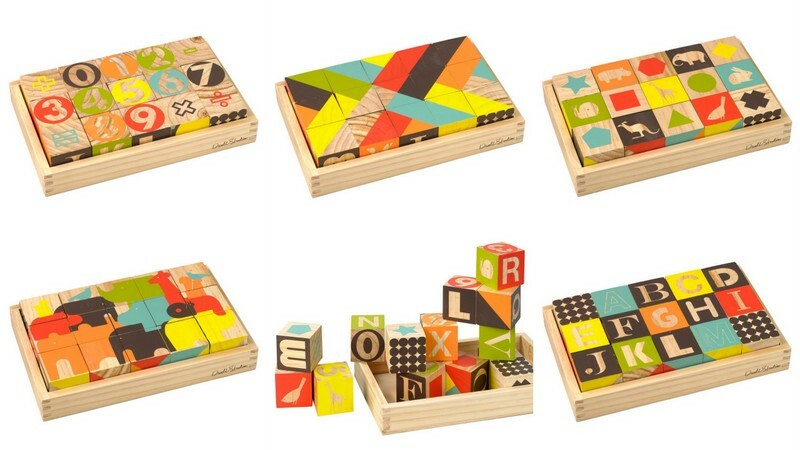 I love all of the ways you can play with this set (have a close look at the images above) and the fact that it is interesting for a small child through a much older one. Toys like this that look great, will last well and hold the interest of a wide span of ages get high marks from me. And at this price, it would also make a great gift. I love these! I just ordered several to keep on hand for gifts. Awesome!